Ceòl, spòrs agus fealla-dhà air ur slighe dhachaigh. Post-d:pluto@bbc.co.uk. Fòn an asgaidh: 08000967050. Entertainment and the latest news with Niall Iain MacDonald. Ceòl, naidheachdan spòrs agus fealla-dhà air ur slighe dhachaigh còmhla ri Niall-Iain Dòmhnallach. A-nochd - Às an Iodhlainn - an cothrom trì clàran bho chòmhlan no seinneadair ainmeil Albannach a chluinntinn. 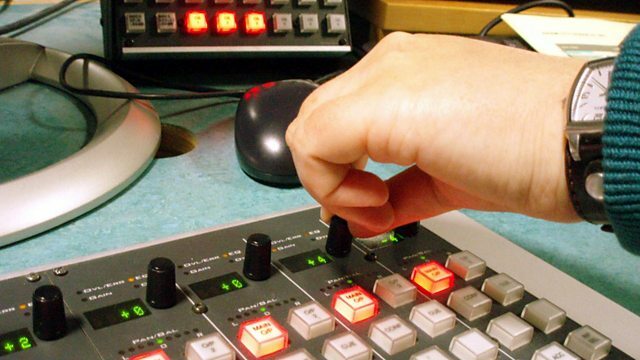 Entertainment and the latest news to see you home with Niall Iain MacDonald. Tonight, a chance to hear three tracks from a popular Scottish singer or band. Fantastic 80's 3 (Various Artist. SKIDS The Saints Are Coming. Faic na tha dol air an duilleag Siubhal gu Seachd le Pluto air Facebook.